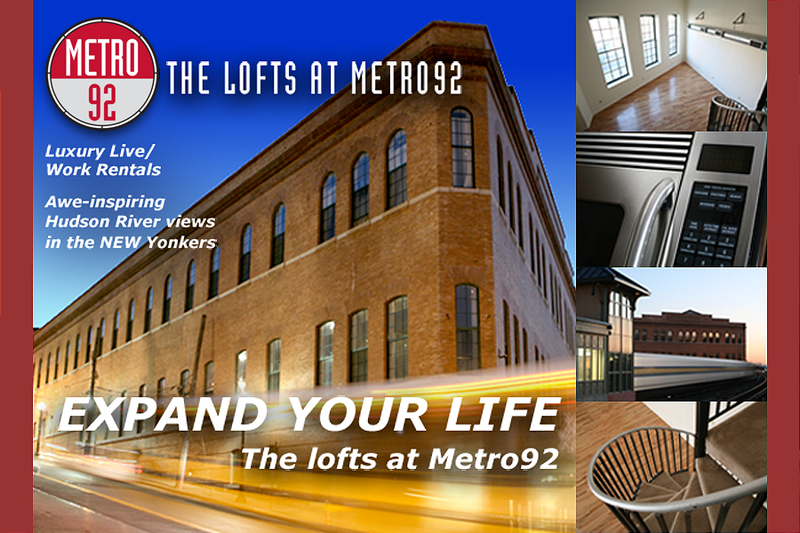 Metro 92 is a rebranded local landmark on the banks of the Hudson River in Yonkers, New York. Originally built in the 19th century to house trolley cars, the “Trolley Barn” was converted into loft style apartments, that are ideal for live/work space. 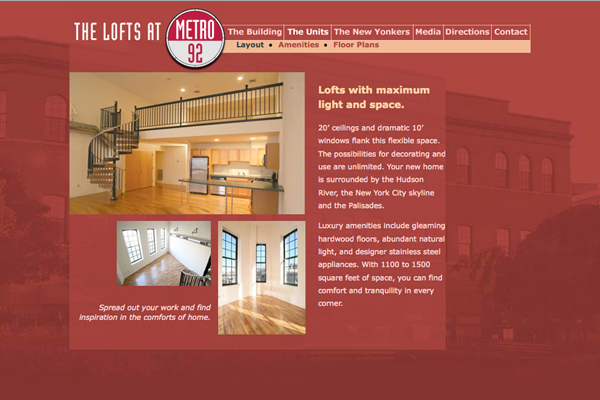 The campaign was designed to appeal to young urban professionals who were priced out of Manhattan. 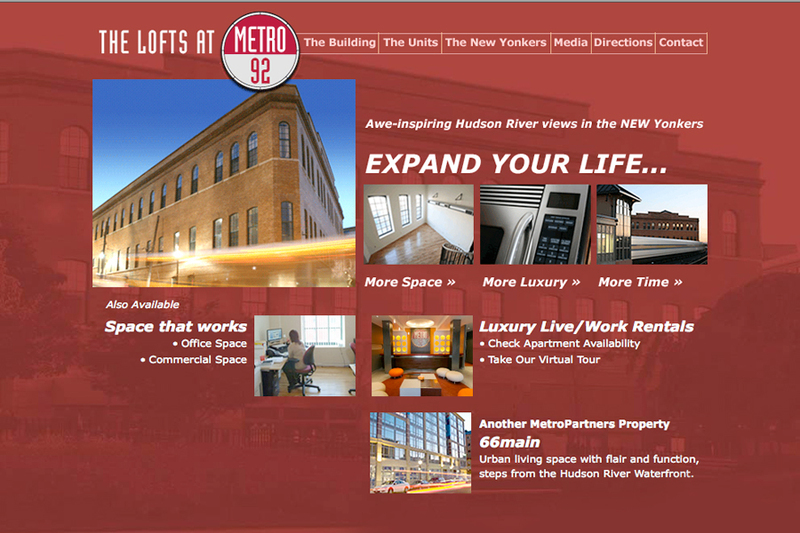 Campaign included logo and web design that keyed off of the building’s architecture and railway heritage. 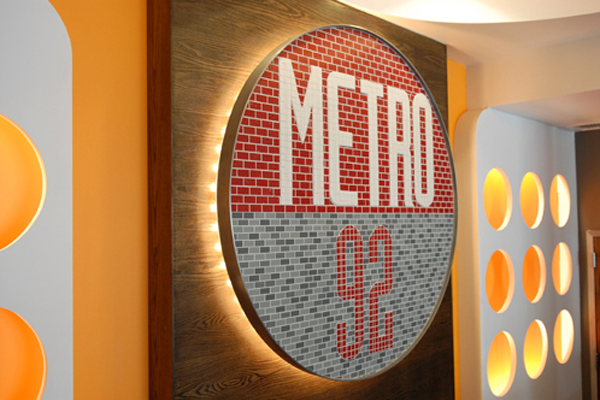 The brand identity an imagery was carried through to the interior design of the building’s lobby. 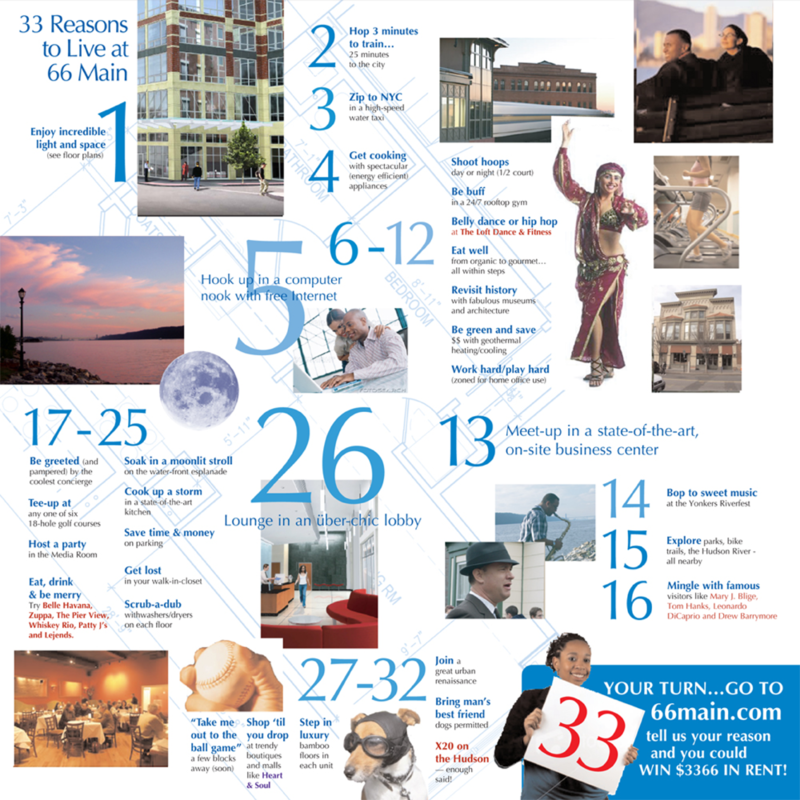 66main was a new construction luxury apt building, also on Yonkers Waterfront. 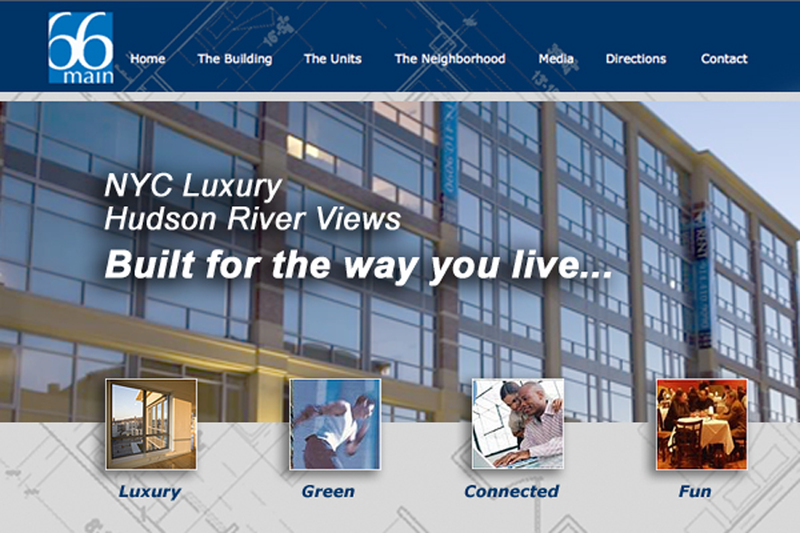 The identity campaign, which included logo, website and sales collateral, appealed to “urban pioneers”. 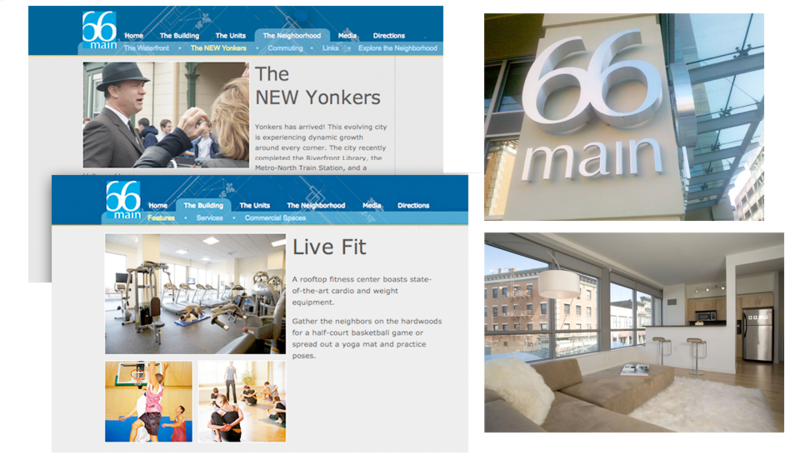 Both campaigns resulted in fully leasing the two properties in under 12 months.